Bariyah is a prolific vocalist and actress that provides us with conscious. Company vibes and groove. Her music genre, rythme and soul with an occasional fusion of pop. Her career/musical journey started over 10 years ago. She has recorded some success in the industry with some all time classic songs she's written and performed. Bariyah as she is popularly called has worked alongside major acts in the nigerian music industry like- "paul play" dairo, majek fashek, sunny nneji, to mention a few. She also had the rear privilege of working with a renowned international jazz act 'Al jarouh'. 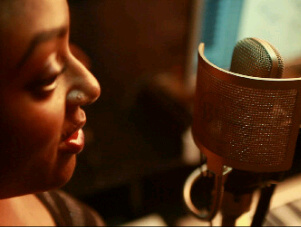 Bariyah sings, she's ever green and classic with a golden heart and a voice that will speak to and for us all..